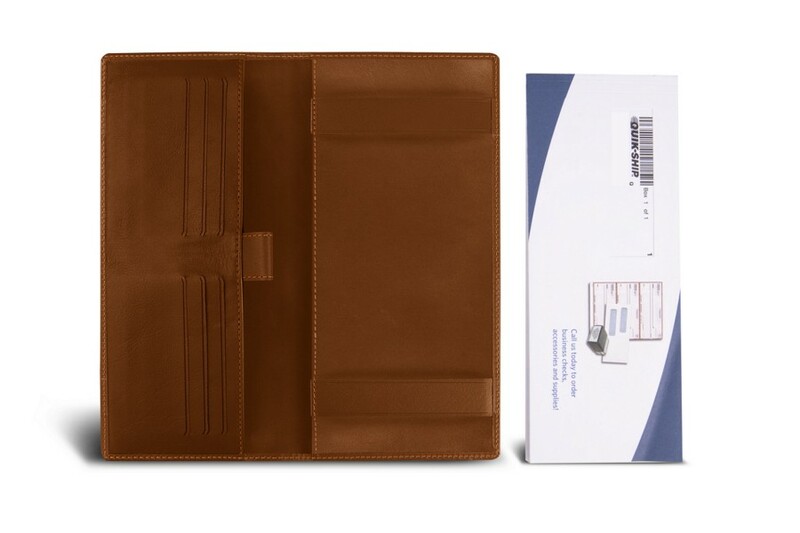 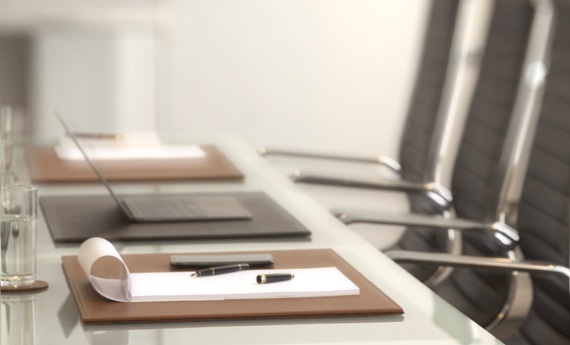 This premium leather chequebook holder is ideal for those who like to have the transaction essentials handy. 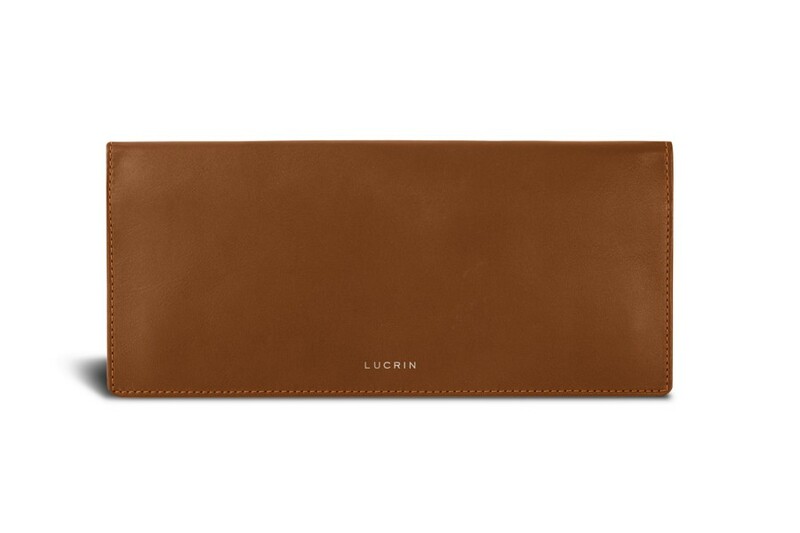 So, besides the 2 leather bands that allow you to slip in your chequebook in landscape orientation, you also have 6 slots for credit cards and underneath that same surface, a flat pocket for folded small documents or bank notes for instance. 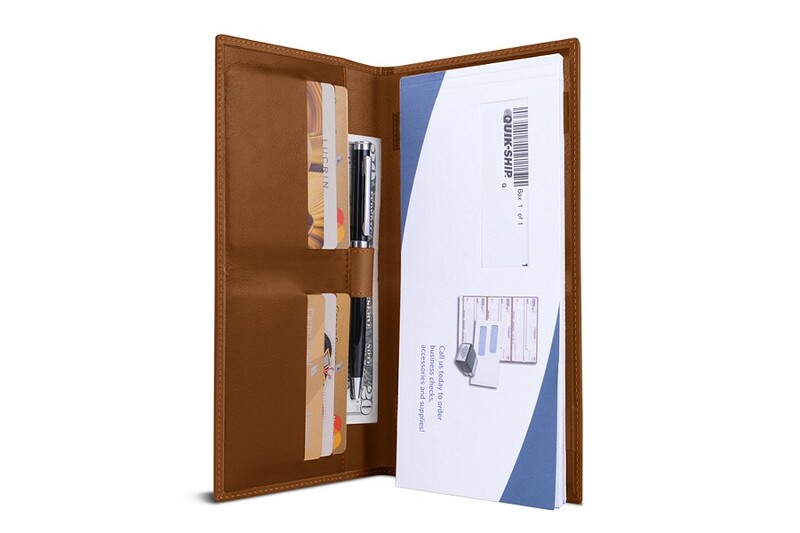 You may go even further, by customising this cheque book cover with a beautiful engraving of your initials or even the logo of your enterprise.